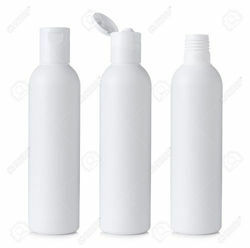 Prominent & Leading Manufacturer from Ahmedabad, we offer ketoconazole zpto shampoo, terbinafine tablets, coal tar & salicylic acid lotion, isotretinoin capsules, beclomethasone dipropionate clotrimazole and neomycin cream and ketoconazole cetrimide (soap). Prevents hair loss & dandruff. Take this medicine by mouth with a full glass of water. Follow the directions on the prescription label. You can take this medicine with food or on an empty stomach. 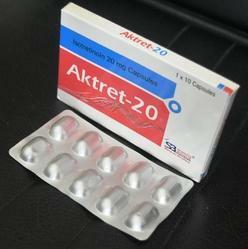 Take your medicine at regular intervals. Do not take your medicine more often than directed. Do not skip doses or stop your medicine early even if you feel better. Do not stop taking except on your doctor's advice. Talk to your pediatrician regarding the use of this medicine in children. Special care may be needed. 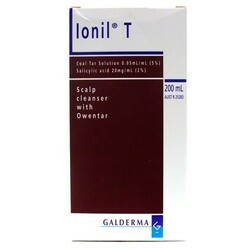 We offer Coaltar & Salicylic Acid Shampoo. Tarlic Shampoo Controls Symptoms Of Psoriasis,Dandruff And Other Fungal Infection Its Contents Like Coaltar And Salicylic Acid Are Anti Septic ,Anti Bacterial And Antifungal Agents.Coaltar Known As Its Antiseptic Qualities. Please confirm the exact price from us for buying.The price mentioned can be discounted for bulk quantity. Prescription is needed for patients. We are local and global sellers. We are backed by many state-of-the-art infrastructure units spread across the country, and enables us to meet the bulk demands of clients in efficient manner. We are global exporters. Aimed at a prosperous growth in this domain, we are instrumental in offering an excellent quality range of Beclomethasone Dipropionate Clotrimazole And Neomycin Cream. 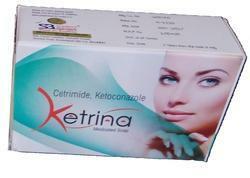 Owing to our immense knowledge in this domain, we are able to provide a top notch quality Ketoconazole And Cetrimide Soap. 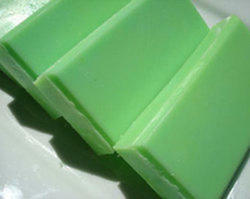 The provided soap is widely used for acne-prone skin that contain ingredients that kill bacteria. Under the direction of our adept professionals, this soap is processed using quality checked ingredients with the aid of ultra modern methodology. 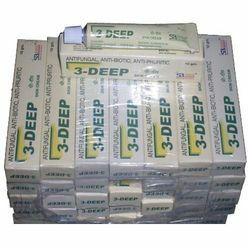 In addition, this Antibacterial Soap can be bought from us by our valuable clients at marginal prices. Proglo Cream is a combination of skin treatments - Hydroquinone, Tretinoin, and Mometasone Furoate. Proglo reduces the amount of Tyrosinase. As a result of hindering this enzyme, the pigment of the skin is lighter. What is Proglo Cream Used for? ProgloCream is a skin bleaching agent that has to be used very carefully. It can lighten the appearance of skin color. It is often prescribed by dermatologists for patients that have hyper pigmentation concerns. They have areas of skin that are darker than the rest and the discoloration can make them feel self-conscious. Follow the instructions for the use of Proglo Cream exactly as they were given to you. Ask any questions if you aren’t sure. Never change the dose or the frequency of use on your own. Your medical history, pigmentation, and other concerns will all influence your dose amount and frequency. This cream is typically going to be applied once or twice per day. Apply a thin amount of it and rub it in well. Rub the cream in until it complete dissolves. Applying too much of it can have adverse effects on your skin so make sure you still to the dosage. The skin can become irritated when you use Proglo Cream. It may become itchy or have a burning sensation. Areas may become red and small blisters may form around hair follicles. Let your doctor know of any such side effects. They should diminish within a few weeks as your body gets used to the product. You may notice your skin is more sensitive to sunlight, to heat, and to cold. Do your best to maintain a normal body temperature when you can. Wear sunscreen and long sleeves when you are out in the sun as a precaution. If you notice swelling or severe rash you need to seek medical attention as you may have an allergic reaction to Proglo Cream. Only apply it to one area for the first few days to make sure you don’t have such an adverse reation. If nothing develops after the first few days you can apply it to the areas approved by your doctor. Make sure your doctor is aware of all medications, over the counter products, and herbal supplements you may use. Not all of them will interact well with this particular product. If you have skin problems such as Eczema then you aren’t a good candidate for this product. Using it can make your other skin issues more severe than before. The offered soap is processed by our highly experienced professionals using the finest grade of ketoconazole with made up of modern processing techniques. Offered soap is used to treat dandruff and other fungus problems and widely appreciated by our precious patrons owing to its high purity and effectiveness. Furthermore, clients can avail this soap from us at most affordable price. Our years of experience and in-depth medical practice enable us to manufacture and export a vast variety of Antifungal Skin Cream. Conditions of Skin & Nails. The Right Skin Care Cream At The Right Time 3 DEEP are skin preparations targeted respectively to tackle early Dermatomycoses (fungal infections), Eczematous Dermatomycoses and complicated Dermatomycoses.